The Indian performance bike market is fast coming of age,with biking aficionados now having access to worldclass motorcycles at realistic prices. Soon, this segment will become even hotter, with many players in Indian Two Wheelers Market preparing to launch their contenders for this fast growing segment. Here we have a list of Upcoming Bikes in India under 2.5 Lakhs. This highly anticipated model is definitely taking a long time to come to us. Unlike what was being expected earlier, the Bajaj Pulsar 200SS launch didn’t happen in the festive season and now, it is being said that the model would officially step into the market in early 2015. In essence, the upcoming motorcycle will be a faired cousin of the 200NS and would share its engine with the popular naked street. For the 200SS, the 200cc, tri-spark, single pot motor could have fuel injection and belt out a max power-torque of 25 bhp – 19.25 Nm. Likely to come to us in mid 2015, the SS400 is looking poised to become a cheaper alternative to the very tasty KTM RC390. Powering the SS400 will be the RC’s 373.6cc engine, which could offer SS400 riders some 40 bhp to play with. 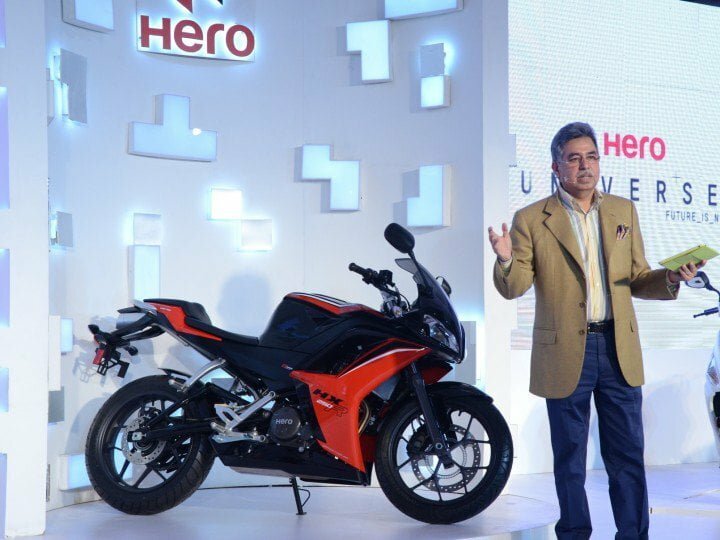 The Hero HX250R launch is expected to be around the corner and the HX250R will soon become the most powerful Hero motorcycle ever! Powering the bike is a 250cc single cylinder motor that outputs 31 bhp. 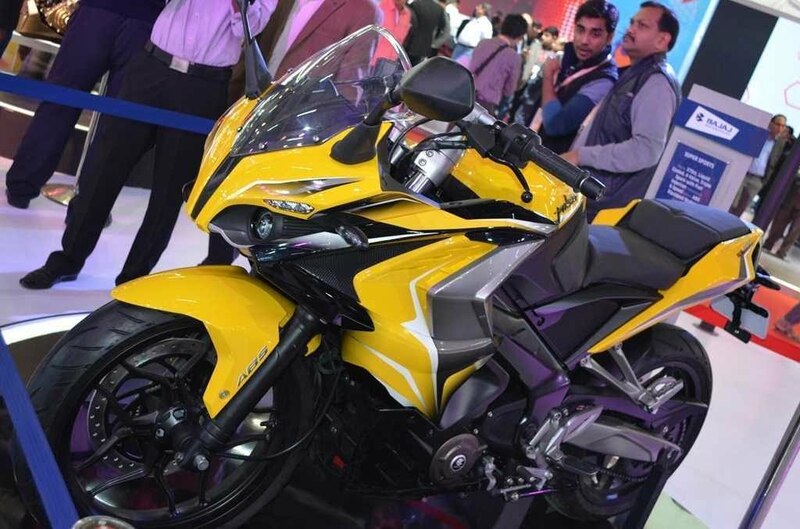 Our guess is that the price of the non-ABS HX250R could be in the region of INR 1.6 lakhs. The upcoming Hero bike will be a Honda CBR250R adversary. 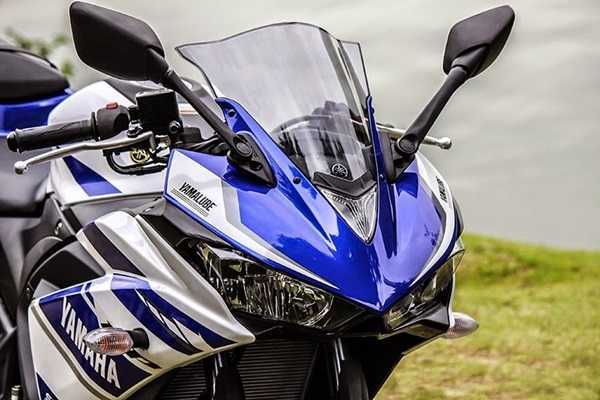 Our guess is that the Yamaha R25 India launch will happen in April next year and the new model could go on sale at a price of INR 2.4 lakhs. The R25 will lock horns with KTM RC390, Hero HX250R and the likes. The bike will be powered by a twin cylinder, 8-Valves, 250cc DOHC engine that pushes out 35.5 bhp @12000 RPM and 22.1 Nm @ 10000 RPM. 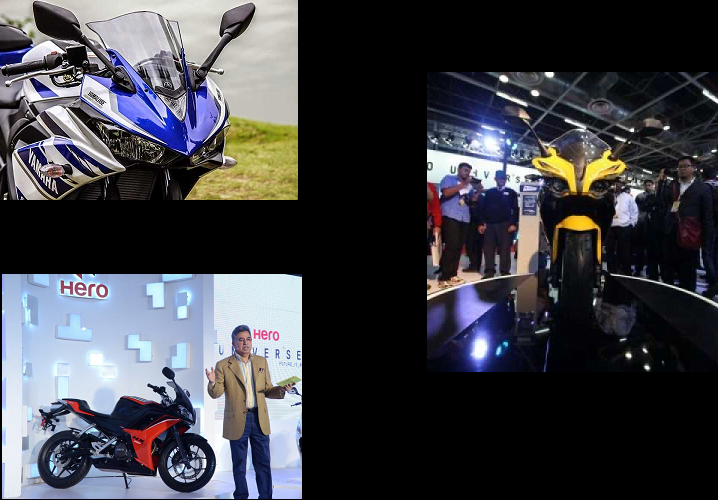 So, for which one of these upcoming bikes in India 2015 are you willing to put your money on? Do share your thoughts by penning them down in the comments section below.